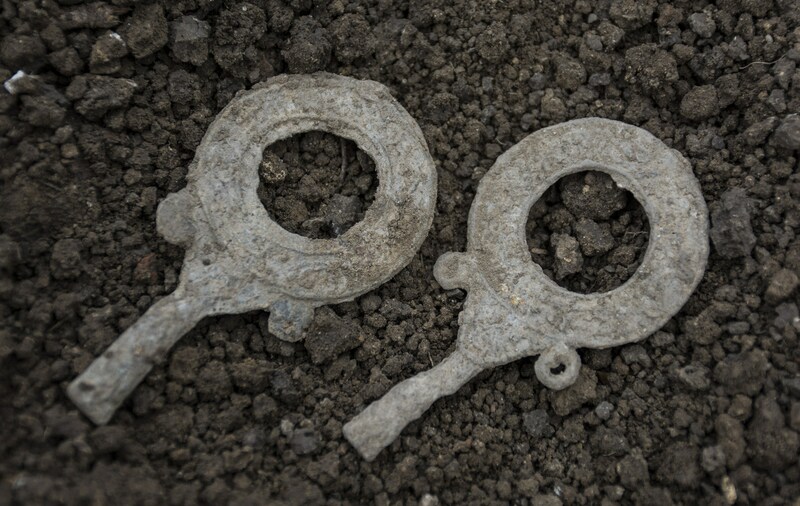 Archaeologists excavating an outbuilding of a Roman villa near the town of Pavlikeni, northern Bulgaria, have unearthed five lead mirror frames dating to the late 2nd or early 3rd century. The small round frames suggest there’s more to this villa than archaeologists realized. The villa, thought to have belonged to a Roman Army veteran, was first built at the end of the 1st century/beginning of the 2nd century. In addition to being a country estate, it was also used for ceramic production during its relatively brief lifespan. The complex stood for less than a century before being pillaged and razed by the invading Costoboci during the Marcomannic Wars (170-171 A.D.). It was rebuilt but the second iteration lasted even less time, being abandoned some time after 235 A.D., likely during the incursions of the Goth and Carpi tribes into Roman territory south of the Danube around 238. 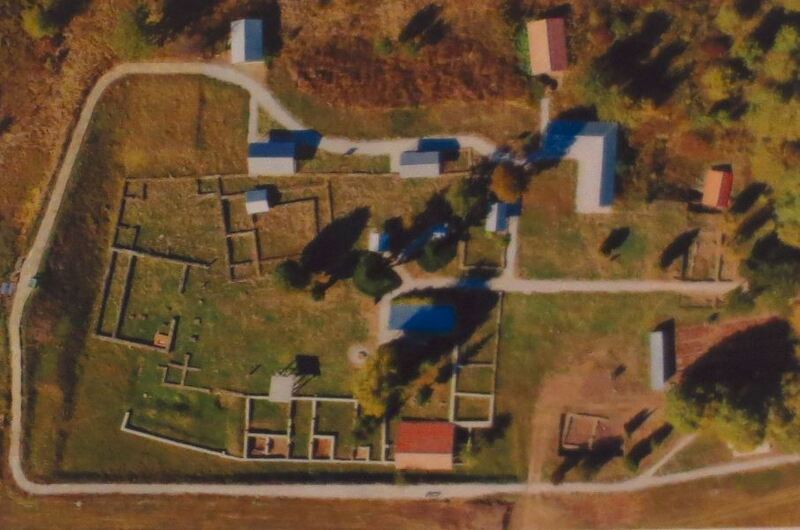 The 35-acre site has been excavated every season for four years. In the 2016 season, a geophysical survey found evidence of Roman construction materials — roof tiles and basalt quarried from the nearby extinct volcano today known as Chatal Tepe — outside the main building. Excavations in 2016 and 2017 revealed a square building 5.65 meters (18.5 feet) wide and 6.35 meters (20.8 feet) long. It had an east-facing entrance, a wise choice in a region where western winds blow very hard and very cold, with an antechamber supported by wooden columns. The columns have not survived, but their stone bases have. There were two hearths in the structure, one in the antechamber, one in the main room. The mirrors were discovered in the interior hearth. Three of the mirror frames are identically sized and have the same decoration: a stylized depiction of a wine krater with vines growing out of it. Three of the five also have the same inscription lettered in Ancient Greek. At first glance, archaeologists thought it read “ТYXH KAΛH,” which expresses a wish that their owner have a good fate. Closer examination after cleaning revealed a different phrase, with a very different implication of what this building’s purpose may have been. “Some of the mirrors have inscriptions, reading, ΨΥΧΗ ΚΑΛΗ, not ТΥΧΗ ΚΑΛΗ, as I originally thought. That means a ‘good soul’. Mirrors are generally discovered in shrines,” lead archaeologist Chakarov has told ArchaeologyinBulgaria.com. 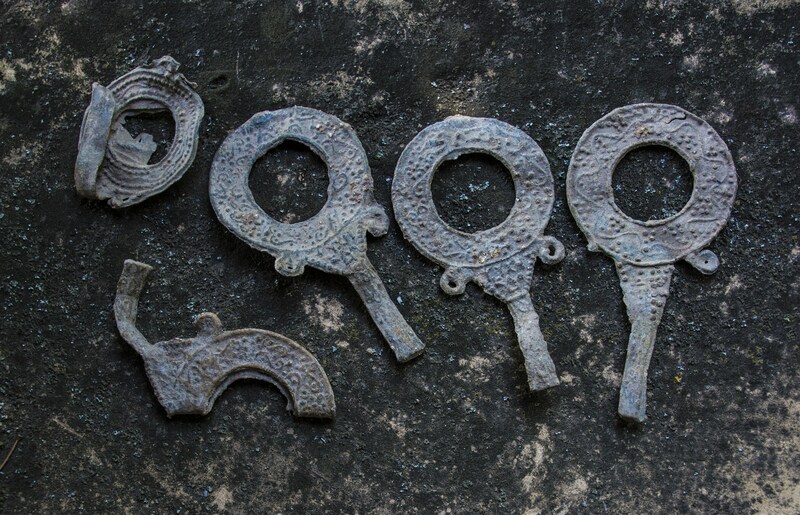 The discovery of the lead mirror frames has added a new hypothesis about the function of the building where they have been found, namely, that it might have been a temple of some kind. The initial hypothesis, which is still being considered, is that it was a residential building. “The find consisting of lead mirror frames points towards the possibility that the building in question might have been a temple. The earlier hypothesis that it was a residential venue still stands, though. A final hypothesis is yet to be decided upon after all discovered material has been processed,” Chakarov explains. Other materials found at the building including pottery fragments and coins which indicate the building was in use in the late 2nd, early 3rd century A.D., so about four decades before its final demise. 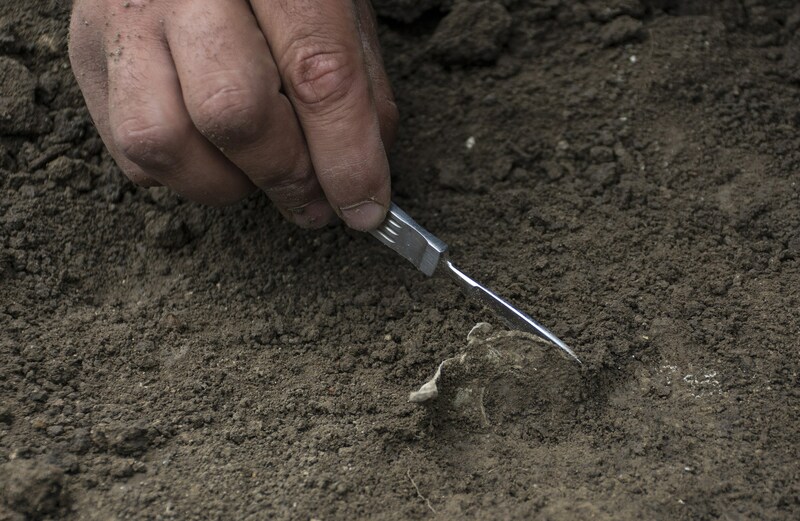 These intriguing finds are the work of a team of volunteers led by Kalin Chakarov, archaeologist from the Pavlikeni Museum of History. Nobody is taking a paycheck and without the 40 volunteers from Bulgaria and four other countries, there would have been no 2017 excavation.